Many Fridays during Lent, I struggle to figure out what to eat for dinner. I follow the Catholic tradition of not eating meet, but since Dan’s not Catholic, he doesn’t have any dietary restrictions. Usually, Friday is date night, which compounds the problem. I always have to order a vegetarian dish, or we just go out for sushi instead. As I was thinking of what to do today, I came up with a meal we made for ourselves to celebrate a belated Valentine’s Day (Dan was out of town on the 14th). Retro and a bit kitschy, fondue is a good choice to go meatless. 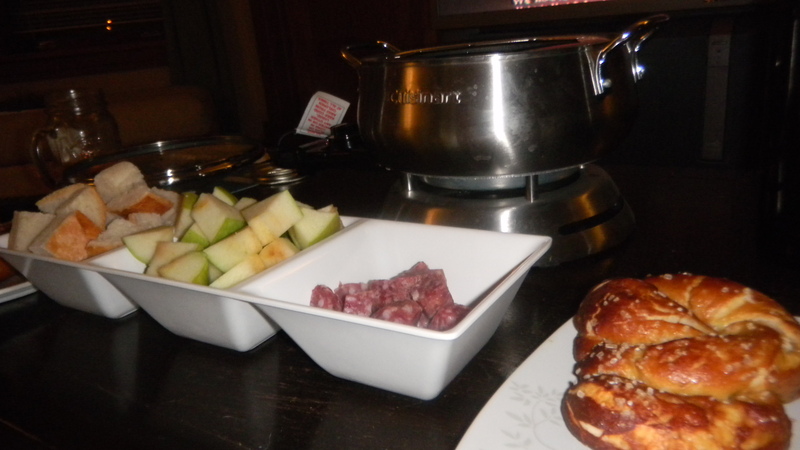 We used french bread, homemade pretzels, apples, red pepper, celery, broccoli, mushrooms, and hard salami as dippers. We left the meat in for my meat-eating husband, but we had enough other dippers that I had more than enough to eat without the salami. but it was worth it. 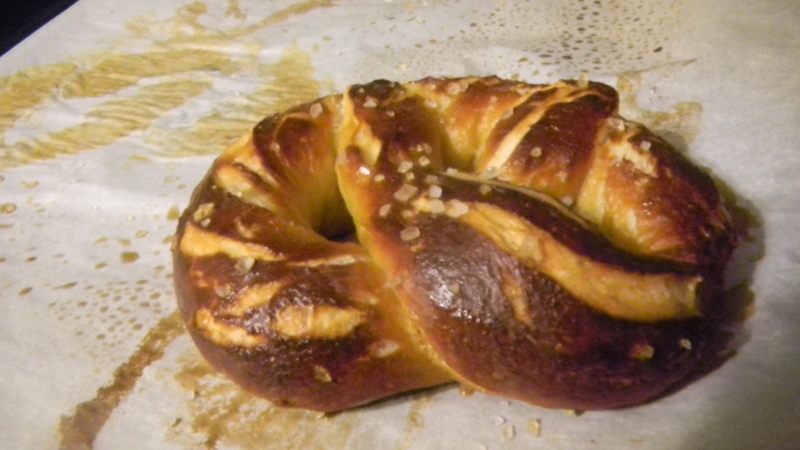 Nothing like the taste of a fresh soft pretzel. To make the cheese fondue I used the tried and true method of googling “Melting Pot fondue recipe” and ended up finding what claims to be Melting Pot’s Cheddar Cheese Fondue. I’m not sure if the taste is the same, since the couple times I’ve been to Melting Pot we’ve ordered a more daring cheese fondue choice (like the Fiesta or Spinach Artichoke), but, it was really tasty. 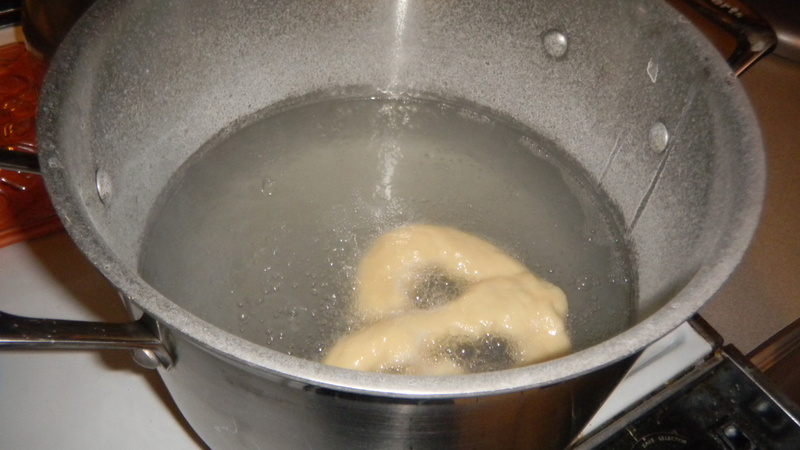 Put everything but the cheese and flour into your fondue pot while on low. Gradually turn up the heat. 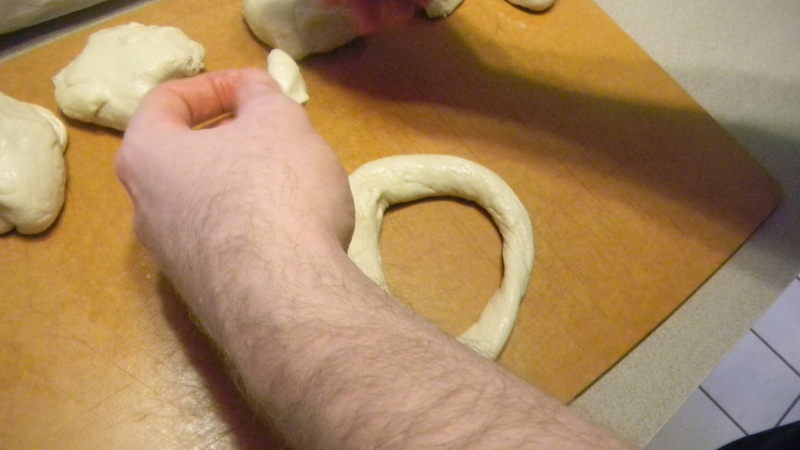 Meanwhile, toss the cheese with the flour. 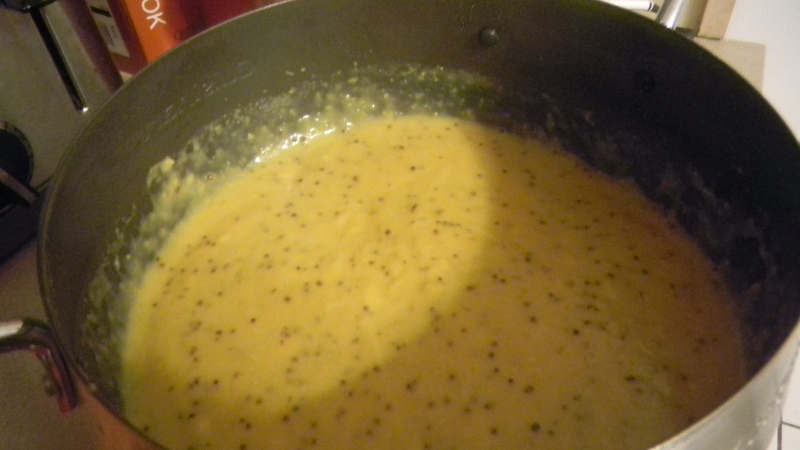 When the liquid is warm, pour one third of the cheese in, stirring and incorporating it fully. Do the same thing for the second third, and then add in the last of the cheese. We left our pot on low while we ate and didn’t encounter any issues. Since then, I’ve made this fondue with any kind of cheese I had in the house: mozzerella, goat, pepper jack, etc., and it hasn’t ever mattered, as long as you keep the ratios of 8 oz of cheese and 4 oz of beer.